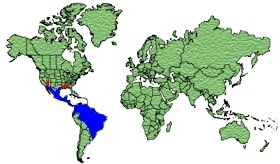 South Texas to the tropical Central and South-Central parts of South America such as North Argentina, Paraquay and South Brazil. 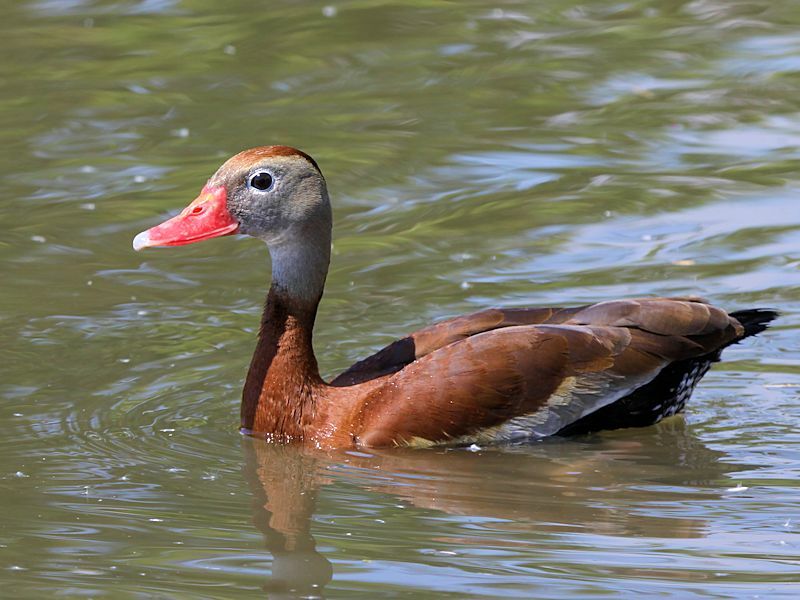 Winter from South Mexico southwards occasionally South Texas. 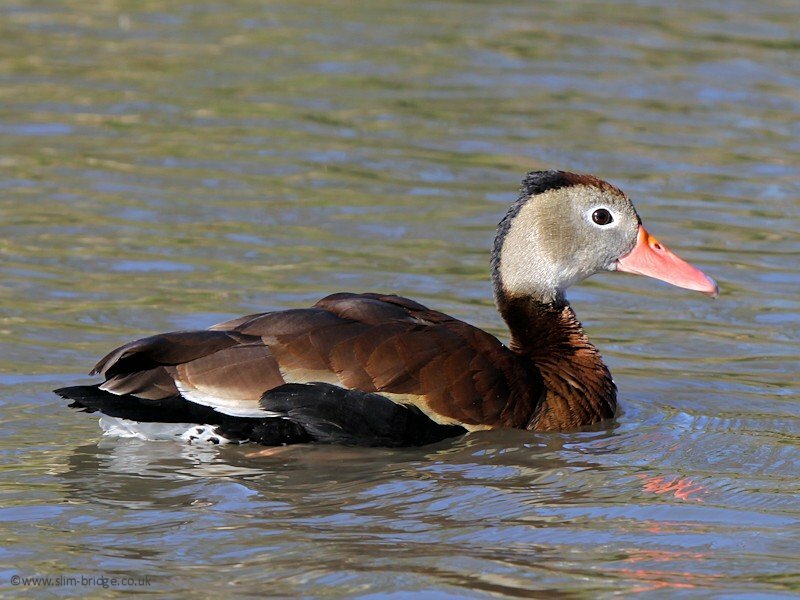 The male has a long Red bill, long pale Grey head and longish legs. 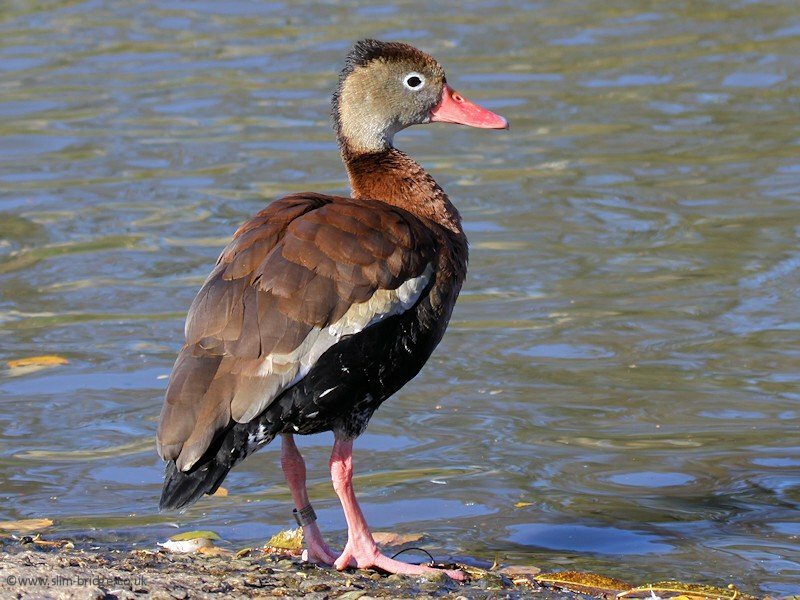 The belly and tail are Black, and the body plumage, back of the neck and cap are a rich Chestnut Brown. 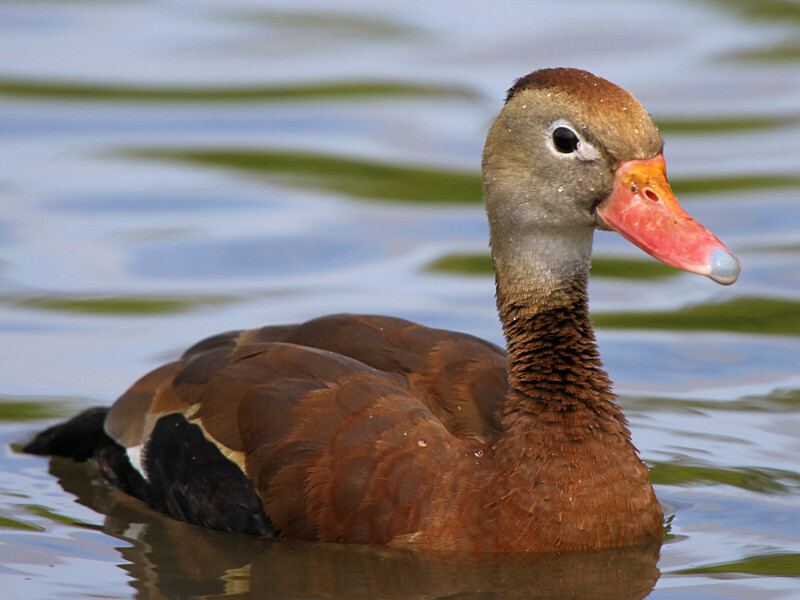 The face and upper neck are Grey, and they sport a thin but distinct White eye-ring. 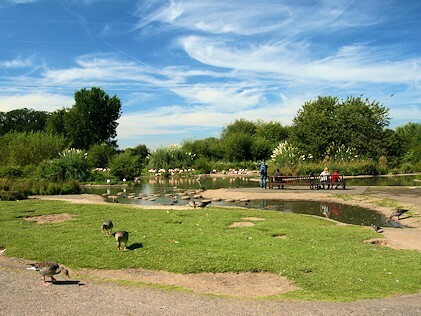 Shallow freshwater Ponds, Lakes, and Marshes, cultivated land or Reservoirs with plentiful of Vegetation. 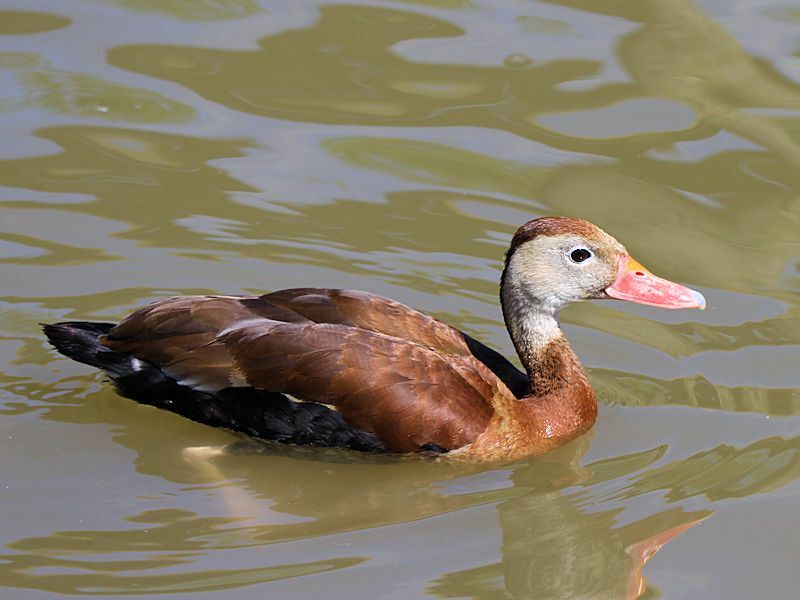 They ingest a wide variety of Plant Material, but also consume Arthropods and Aquatic Invertebrates when available. 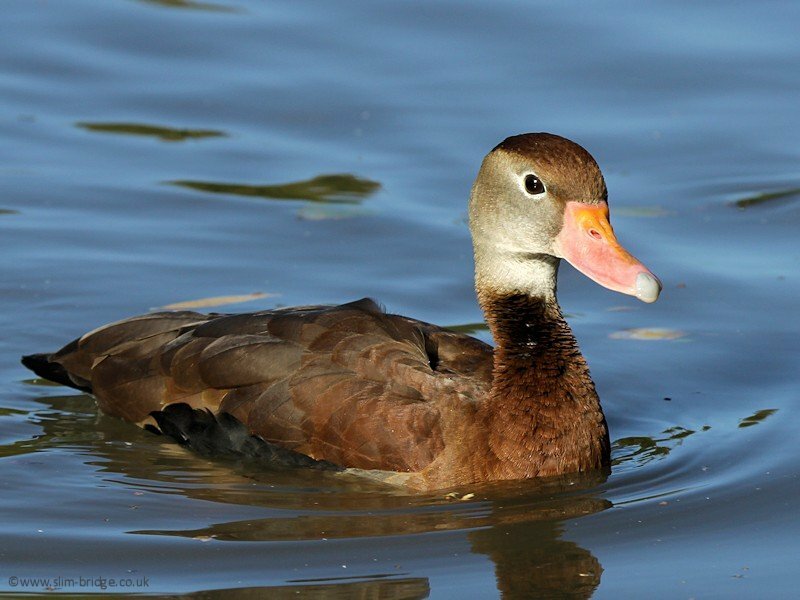 April to October in USA, and September in Brazil. 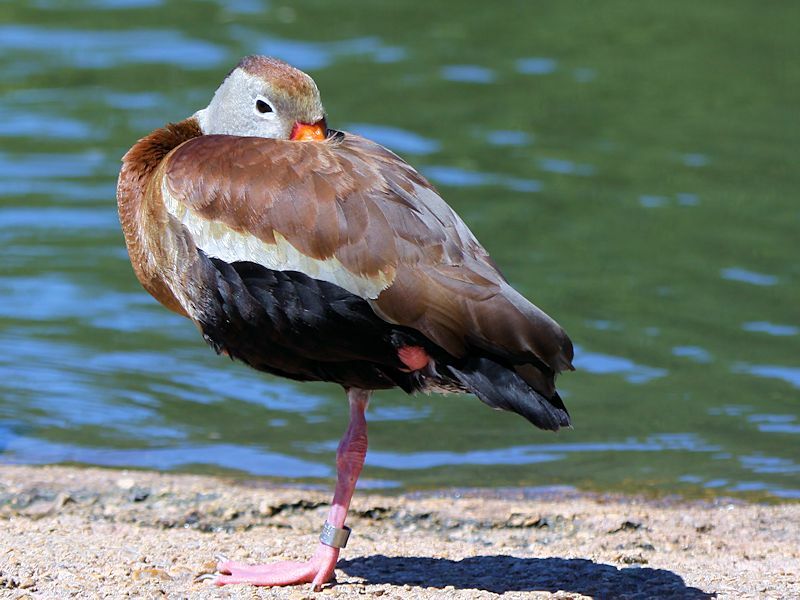 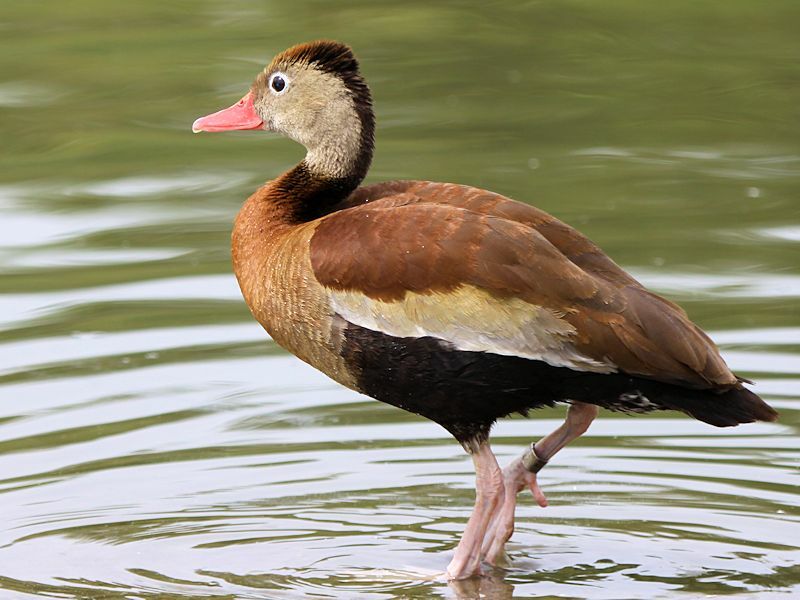 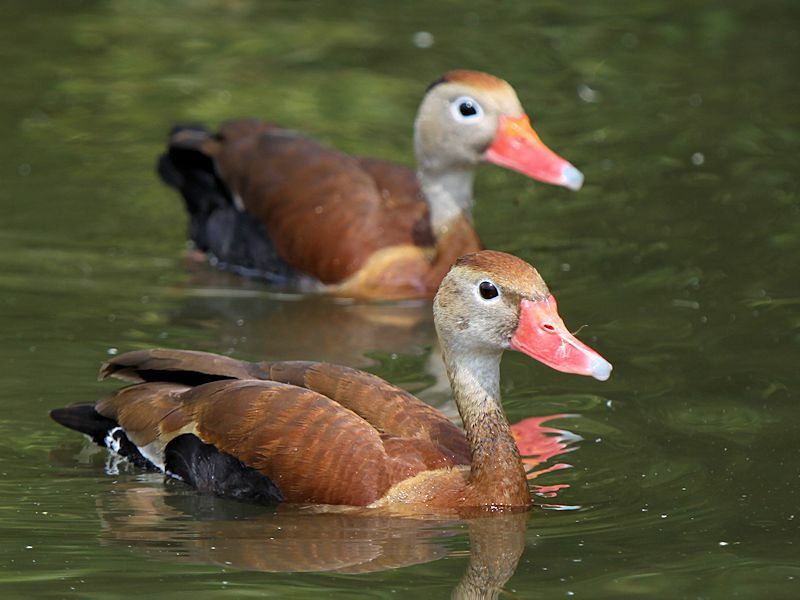 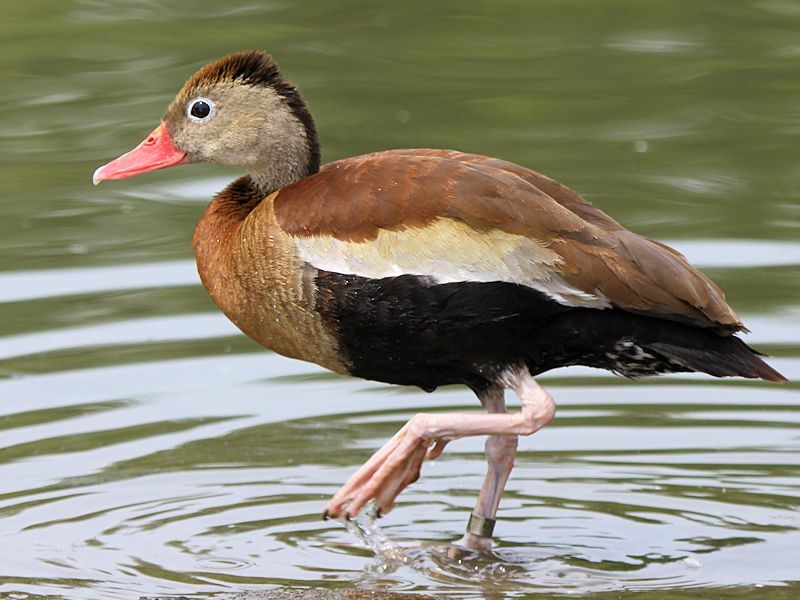 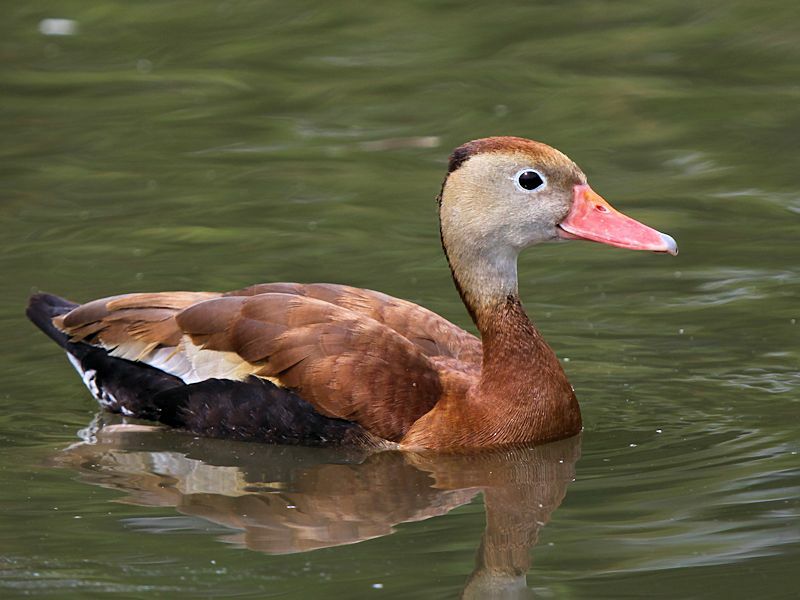 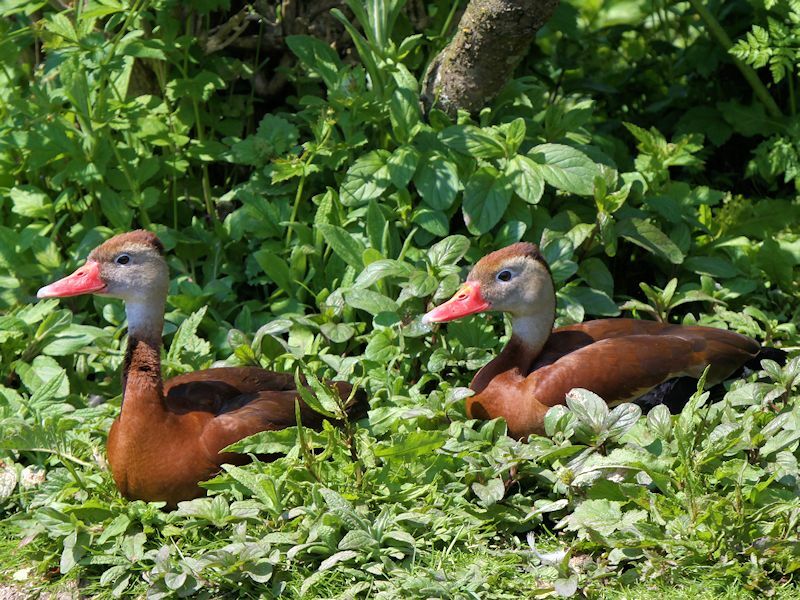 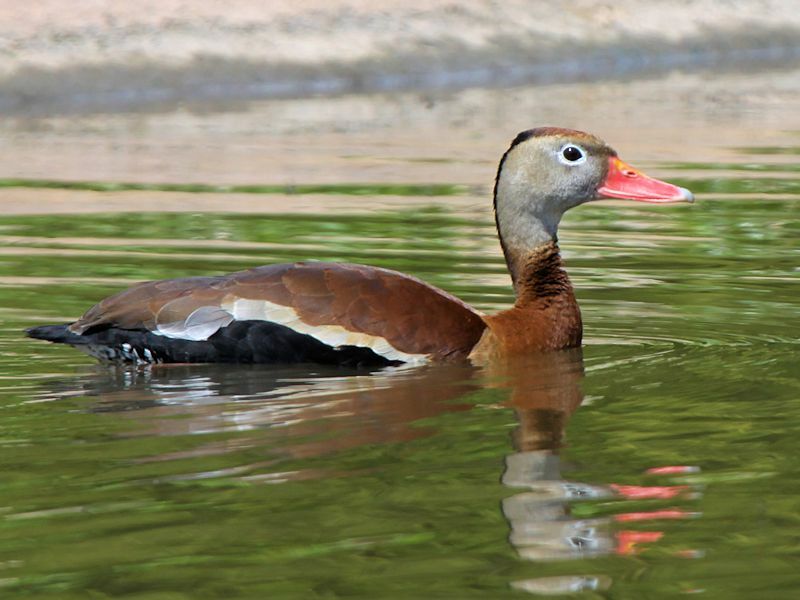 The Black-bellied Whistling Duck is also called the Black-bellied Tree Duck. 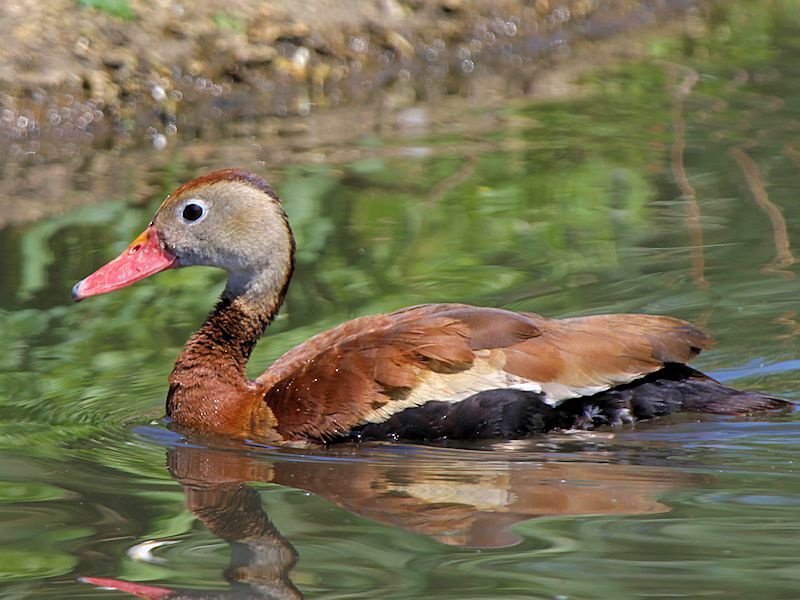 It is a whistling duck that breeds from the southernmost United States to the tropical Central and South-Central parts of South America. 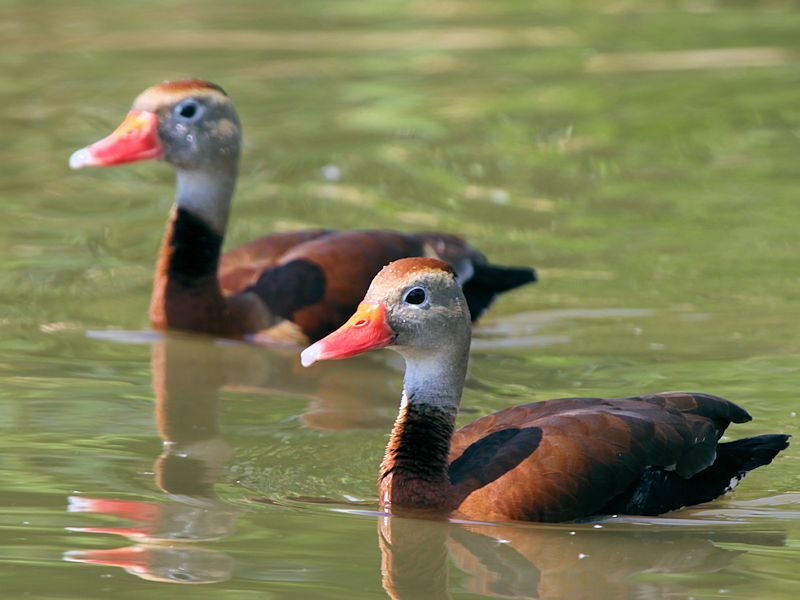 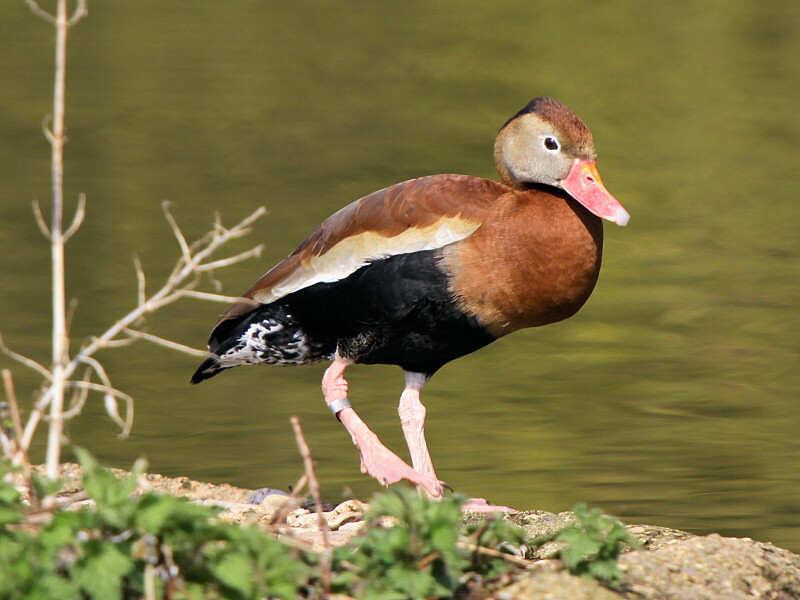 The Black-bellied Whistling Duck is unique amongst ducks as they have strong monogamous pair-bonding. 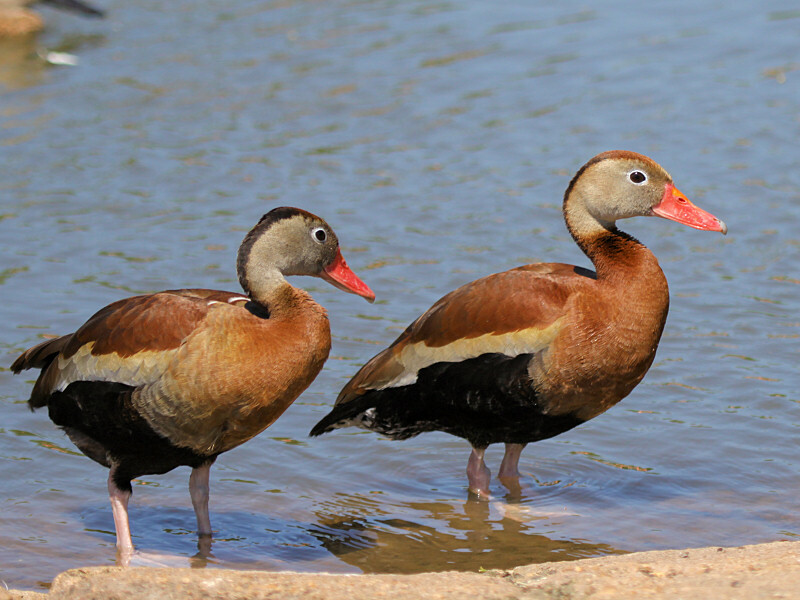 The pairs will often stay together for many years, which is more often associated with geese and swans. 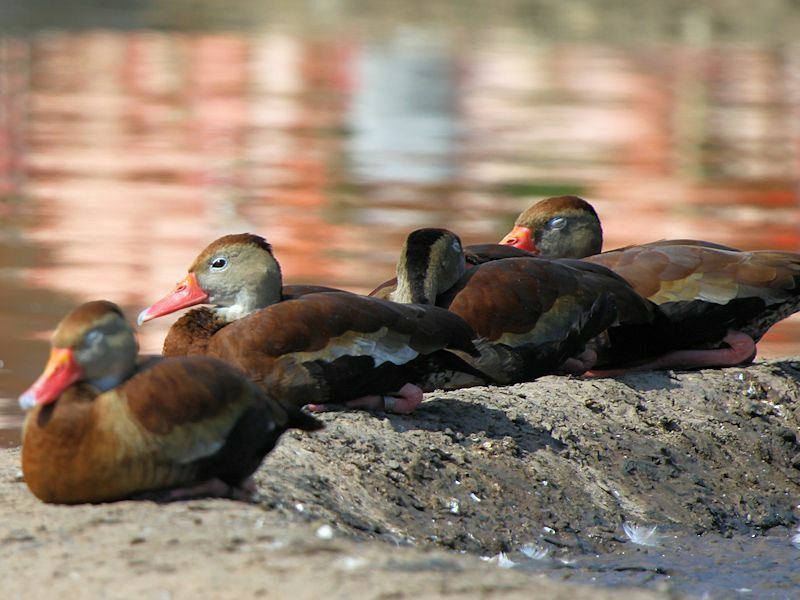 As the name implies, these are noisy birds with a clear whistling call.